Krajewski Lambe Advanced Strategies | Think twice.. Please complete the fraud report form and attach all relevant documentation and send it to the above mailing address. When attaching documentation, please do not send any originals. Collect all information, records and documentation you have of your dealings with Kl Advanced, Krajewski Lambe, Univetsal Tab, CMV Trading, SportingEx. Now 38 victims have contacted aussiescamalert with over $950,000 claimed to have gone, pretty much all on the 27th of December. If you are also a victim, take the above actions and also fill in a comment or email to stay informed. Update: 27/12/13: I see KL Advanced are now listed on the ASIC site as being under ‘external administration’. Also, three people have now come forward claiming to have lost substantial sums of money with them just in the last few days. It seems money has been drained from their accounts. They have also traded as CMV Trading and Smart Street Marketing Pty Ltd. Also associated with sportingex.com….no address, only a phone numebr to show. Update 12/10/13. KL Advanced have now removed the images that I present in this post…and also their ABN too for some reason. (?) I do have ample Proof of the images and webpages they had up so I will leave the post as is, to show what they had been doing. I alerted ASIC, Consumer Affairs Queensland and the ACCC about their activities. Only the ACCC showed any interest yet were happy to leave it as KL had already changed their website. Seems you can be a company and be deceptive and misleading and you won’t even get a slap on the wrist. It’s suprising that this sort of activity does not ring alarm bells with our ‘watchdogs’ and spark investigations. I just came across this one today after hearing it mentioned by one of our members, who has apparently been hounded by them on the phone. Krajewski Lambe Advanced Strategies, or KL Advamced Strategies. They offer automated trading , on horse racing mostly it seems, laying horses to lose. Their results show roughly 20 to 30% per month profits (for 2012). Packages start at $9,900 , moving up to $29,900 and $49,900. All for three year licences and allowing you to have larger betting / investing banks. They say that $1000 can be turned into $24,000 in just twelve months through simple compounding. Trading/betting is done through a third party : UniversalTab, who are meant to be able to distribute bets through a number of other bookmakers so investors can get set for very large bets. KL Advanced Strategies do all the betting for you, according to your licence level, automatically. Well, that’s all they claim happens anyway..
Now we’ll take a closer look. I researched the third party, UniversalTab a bit. 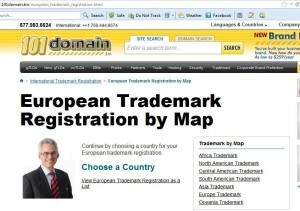 They claim that they are regulated by A.I.T.C (Advanced International Trading Corporation). I haven’t been able to find any reference to A.I.T.C on the search engines, yet if they were a big international regulator, you would think they would come up quite easily. UniversalTab don’t answer the phone, and the website was established only in May this year. KLadvancedstrategies.com was only created in November last year. Update 6/10/13: Strangest thing is that the photos of both their directors, one of whom is now deceased, both appear via Google’s image search as other people, or doing something else…go figure! 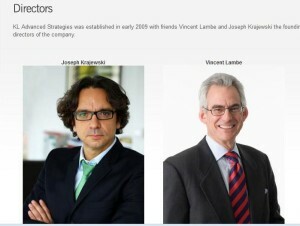 See the picture they have on their website of their directors.. So the first guy, who they claim is Joseph Krajewski, in fact is Jean-Noel Felli! Check google..it’s full of images of JNF, not Krajewski! As for Vincent….the same picture appears on this website…. Of course they offer a trial. Invest $1000 into Universal Tab and see how they go. The trial may or may not go well. Is it just a numbers game for them? For me, there’s not enough hard evidence behind them, and some big question marks, to convince me to part with any money. Oh, but hey, read the testimonials! They are very consistent in theme…’weren’t convinced at first, had been burnt before, now happy, ready for retirement, even some friends have joined as well ! 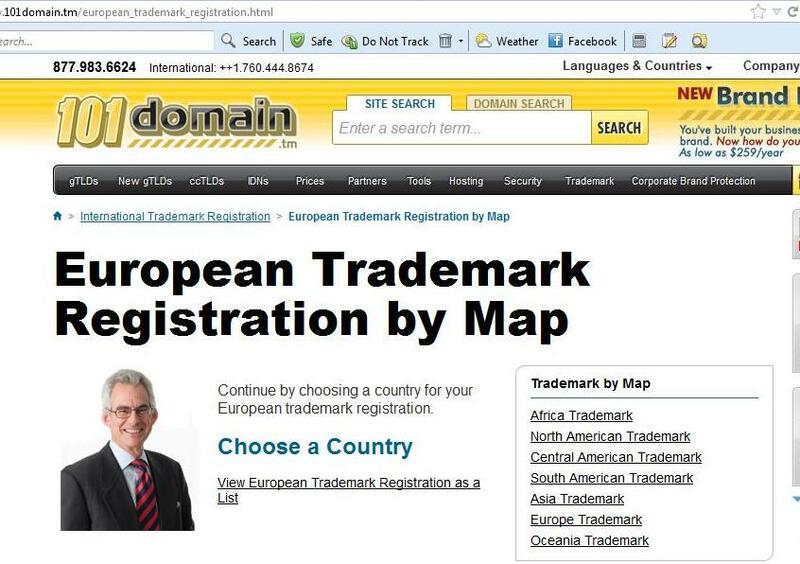 This entry was posted in Uncategorized and tagged ADvanced International Trading Corporation, AITC, CMV Trading, CMV Trading scam, cmvtrading.com.au, joseph krajewski, KL advanced, Kl Advanced strategies, KLadvanced, kladvanced scam, kladvanced.com, KLadvancedstrategies, KLadvancedstrategies.com, smart street management no3, smart street marketing, sportingex, sportingex scam, sportingex.com, sportingex.com scam, Universal Tab, UniversalTab.com on October 2, 2013 by admin. I too lost 13K to these schemers. invested 9.9k fee plus 7k for trading……trading account went up to 14k than after the 27/12/13 i had left with $930 which i was able to withdraw. I was on holidays and when I came back my money was gone. I paid 9.900 for the package and after 8000 dollars into the account, and now has 600 dollars, all gone on the 27th of December. The website is gone, they don’t answer phone and I don’t know what to do, please someone help me. We just bought a house few months ago, that’s why we did this, to help to pay the mortgage, and now we don’t have money to pay the mortgage, as I work from home and Im not making a lot of money at the moment. The 18000 we lost is a lot of money to us, so please someone give some advice on what to to. Hi I also lost 10k and my account is now frozen with $259 left. John woods and Emily was my contact. Please keep me updated I’m willing to join to try get something back. Yep, add me to the list. My contact was Emily. I lost more than $20,000. I would be happy to join a class action if we have a chance of recovering our money. I too have been scammed by John and Emily. I was also sucked into investing 13k, I dealt with Emily and feel sick about believing the lies that she spun. Class action – count me in! I to have lost all but $900 left in my Universal trading account ($16K in total). did anybody else get a guarantee if the original $9900.00 fee (in my case) was not made back in winnings within the first 12 months then it would be refunded? I spoke to Slater & Gordon and they said a class action would be more cost effective in my case because as an individual the fee could be higher than my return, anyone willing to start a class action count me in! Hi , we too have lost money through this scheme. My husband set it up and was dealing with a man named John Woods via email and also phone and text message. I think something needs to be done on a national level. Im sure a TV show like A Current Affair would be interested in this. If we cant get our money back then lets make it bloody difficult for the person who stole it and make other people aware of this scam. hi im 28 from adelaide i also signed up with these guys about 4 months ago thru “john woods” i lost about 15k , very dissapointed ,john had all the right answers and sold me well, everything seemed to be going well and was looking to put some more money into my account next month, i guess im relatively lucky . Please include me in any email updates on this. I will contact the police as well. John Woods was my contact. I too was invested in KL, until my friend who warned me against any of these betting software companies. He’s advice was get out their all scams. He too lost a large amount of money through a different company promising exactly the same style of betting software. His advice to me which made sense was if it worked why would they sell it, they wouldn’t they just keep it for them selves. I had a privet investigator do a little research into KL and found that the allusive Joseph Krajewski resigned as director well before the company was put into voluntary administration. My initial contact was with Emily and Matt I believe they are the ones pushing this scam and need to be tracked down. I have a feeling Joseph doesn’t exist, is a fake name or some guy that lives in a caravan park that is paid a small amount of money to be the director. I have looked in to previous cases and talked with my solicitor an he advised me that they do promise all they great returns but all they are doing is selling you is a piece of crap software that obviously does not work, making these scams hard to prosecute as they did provide the service and at the end of the day its gambling. I would love to get my money back but I believe after the information that has come to light my money is sitting with these crooks on a beach in Mexico. Please do let me know if there is a class action or if anyone tracks down Emily and Matt. I should have known it was too good to be true. Peter, thanks for your extra information and detail. It helps others avoid the same trap. Sorry you had to pay the price though. Please email Sgt John Moffitt as detailed at the top of the article. I will add you on to the email group. Peter, your email doesn’t seem to work. Could you email me directly at admin@aussiescamalert.com please? Hello can you add me too please. I LOST 15K aswell. How do we get this back.Im in a very tough financial position. Can we all confirm please.some have been saying Emily and john. Some have said Natalie and john. And also now Matt and Emily. Have they even been using different names to all?? Was Matt the pommy prick? my partner had all contact with a ‘natalie ambrose’ & another guy through email.. I have also been scammed by CMV trading. What is everyone doing. I’m about to contact the police and fill out the scam form. Is any one taking legal action? If so count me in. If anyone knows where the owner lives please let me know. Hi my name is kevin from adelaide I have been scammed by kl as well for 25g it seems like a lot of people have been scammed to.not sure what to do at this point. Any ideas would help. Just had a look at my account a found that all of my funds have been depleted! I’m attempting to salvage the remaining couple of hundreds left in my account as I type this. I am currently overseas until mid January and do not know what to do. Like most of you I invested in my hard earned saving into this and feel absolutely sick to my stomach about it. I would very much like to be kept in the loop with any updates or recommended actions to be taken. Thanks Richard, I think your summary is very accurate. I am another who invested in KL Advanced Strategies and appear to have been scammed. Like everyone else, on Dec 27th about 90% of my trading account value was “lost in trading”. I requested the remaining funds to be withdrawn, and was a bit surprised when Universal TAB did in fact deposit the small amount in my bank account today. An associate of mine went to the Brisbane offices of KL Advanced this morning to see if anything could be discovered. Their receptionist said the KL Advanced staff were on holidays until Jan 13th. The receptionist did know John Woods and Emily, and other sales staff as well, so it appears they did work out of this address. I wonder if John Woods or Emily can shed any light on Jerry Krajewski and what has happened. My quick bit of research suggests that this type of scam should be reported to the ACCC, rather than ASIC. Has anybody done this yet? Also, has anybody reported this to the police? And was it QLD police, of the police of your home state? Not much fun this, any information people can provide is appreciated. I reported them to the ACCC a couple of months back but the ACCC will not tell whether they investigate or not, so you never know whether anything has been done or not. I’ll put you in touch with the others. Hi Eveyone, looks like i’m another victim which is not happy, please keep me informed of what’s happening next. I also invested with these jokers who at this point in time seem to have had the last laugh. I am interested that you mentioned Natalie and John woods in your comments. They are the two who were my contact in the company also. I am assuming that both of them were fully aware of what they were leading us into. That is a shame because you would probably agree that they sounded genuine as they were leading us to the slaughter. What I want to know is do you reckon John Woods is his real name? I am very interested to know this. John, if that is who you are. Why don’t you come on and share your thoughts. I have reported to the police and the accc. I also appeal to anyone who has information on ANY of the people involved with this scam to post on this forum. I would like to here from you and are more than happy to recieve any information that could help us get to know John Woods a little more. Also, Should those affected be starting to correspond directly to organise some type of class action.I am up for it. We just have to find who to pin it on. Likewise as it is quite apparent we have been hit by a scam i am up for any class action. If any one from the team is arranging a class action than count me in.We need to bring KL directors to the courts or wherever we can obtain some form of justice. I’m another who has been ripped off by these low life’s . I’m firstly interested on D’s reply!!! D u said Natalie? Was that a typo?? Or was she using a different name for different clients…? I think we should start at the bottom and find out and piece together all the information we can.. I know there may be a chance that she was tricked in to being so deceitful to us but let’s all do our best to find that out. Does anyone have more information on her. Last name? Did anyone meet her.? She claims she was from Brisbane, went on leave to get married mid December, went to the gym 5am nearly every morning!!!! I know I would recognize her voice anytime. SD claimed a receptionist new off Emily and John??? Any description of the two? Any information is helpful to us all. I’m shocked to read everyone’s comments. I am just one lucky Australian that didn’t sign any money over straight away, but i was convinced. I was confident that they were legitimate. That’s why I’m so speechless and disgusted to read so many people have been scammed for their money, so here’s as much info in detail i can provide if it is of some assistance, I’ll shed any light I have to, to help every one of you, I haven’t lost any money, but I nearly did and to find out now, the truth, when I thought Emily was a very friendly, nice, helpful and informative person in general, pffft… I was first contacted by Emily around late 2012, after doing my research and thinking. Around early 2013, I suddenly had a family member to take care of full time, so my last conversation with emily simply was, Ï have the money, I am interested, at this point in time and the next 6 months give or take, my time is %100 dedicated to being a carer basically. Emily said to me, she’d leave me on top of some list or other, meaning she would be back in contact with me later last year, which never happened. (I’m sure now she was busy scamming and wasn’t concerned with my financial freedom whatsoever, (she had boasted about). throughout the entire time i first was contacted, I regularly kept an eye on their website, just to see if they were growing as a business and living up to their crap. So I was convinced, but still wanted to watch their website for a while longer, and when my time was free again, I remember thinking I was planning to re-contact Emily. I remember very well the convo’s I had with Emily. Yes, she was engaged when i first spoke to her and her wedding date she said wasn’t set yet, but she said it would be end of 2013 ish. I recall her telling me her fiance was Spanish, I do not know if he was an Australian citizen or not. He is definitely Spanish though, no doubt whatsoever. I recall her telling me something about they were having trouble registering or changing his name or their (surnames I guess), because of spanish spelling of his name or something, that was the trouble she was mentioning, excuse my vagueness there. Just adding as much as possible for you much deserved justice fighters. Also, yes she said she lived in Brisbane. Where the only HQ existed, until late last year I noticed they went international. ( I’m hypothesizing now, maybe international bank accounts were used to drain your trading accounts, seeing that they went international pretty fast and only at the end of 2013, I may be wrong.) I still have her personal mobile number, which i will freely share, 0450039308. I get her message bank every time now though. I still have 2 .pdf (Adobe Acrobat) files on my laptop hard drive. Basically, 1 is the signup email stating all their terms and crok. Plus Emily gave me a generous offer of a $5000 discount to signup to the Base package. so from 14,990 to 9,990 she was trying to sell me. The other is a 12 month guarantee terms and conditions scam document. If anyone wants/needs them, I will attach here if i can or email to whoever requests. This is their details at top right corner of document 1. I just noticed a difference in the 2nd. If anymore springs to mind, I will be back to inform some more. I will regularly come back here to check for replies and further assistance. I wish all of you, The justice you all deserve. Something I can assure you though is, being rich and looking over your shoulder every 5 seconds aswell as the extremes of covering your tracks every where you go. The KL scammers must be very wealthy but scared, I advise all of you to combine a 1 major claim. For, separate smaller costs as well as 1 big strong case. Also, Go to A current Affair, 60 minutes any news media that will take you on. National Media attention/exposure, I guarantee will get any agencies, any government law proceedings from slow to fast motion. Do not stop demanding. Persistence, persistence etc. hound the media, I'm sure they would love to do a story on this, no doubt. Good luck people…. I will be back to help as much as I can. The same occurred with me on the 27/12/2013. After discussions with ASIC and ACCC, only to discover KL Advanced Strategies had filed for insolvency, I was able to make contact with the external administrator handling their file. It seems that retrieving any monies from them is slim to none, according to information given. WHERE HAS EVERYONE’S FECKEN MONEY GONE??? Also, did anyone get a copy of their so called ‘bookmakers license’? I lost over $10,000. My initial conclusion on the scam we have been involved in! Both KL Advanced Strategies and CMV Trading are trading names linked to a company called Smart Street Management No. 3 PTY LTD (ABN: 63135365687) which is now under external administration (the company is being voluntarily wound up by its creditors!!). The company has one shareholder who conveniently happens to be the sole director of the company, the infamous Joseph Krajewski. What’s incredibly funny is that Joseph is also one of the company’s creditors (as per the documents lodged with ASIC). KL Advanced Strategies and CMV Trading uses universaltab.com and sportingex.com respectively as “bookmakers”. Evidence of many people coming forth to claim that they have lost most of their money sitting in their trading accounts on the same day (between 1:00 AM to 10:00 AM on 27/12/2013) suggests that both of the above “bookmakers” are not real bookmakers but they are merely an online instrument to show fake trading on clients’ accounts (see below for details). In addition, both of the so called bookmakers are regulated by Advanced International Trading Corporation (AITC) which I have yet to find its website nor any evidence of its existence. I’m now almost certain that both of these websites have been created by Joseph Krajewski (the sole director and shareholder). What do I mean by fake trading? It’s quite simple. Once a particular race is finished, the trading account is populated with fake bets and fake results (fake wins and losses). When you first join on the smaller package ($9,900 package), they make sure that you’re winning (i.e. you have more winnings than losses) to encourage you to upgrade to the larger packages ($29,900 or $49,900 packages). When they had enough money i.e. they’ve scammed enough people into the idea, they’ve decided to “wind up” the company on 13/12/2013 (as per the documentation I have reviewed from the ASIC website, the company has nil assets and it owed $75,000 to creditors who have all happened to decide that Mr. Joseph Krajewski is the best proxy to represent their interests at the winding up meeting). And since upfront money stolen for services that were never rendered ($9,900, $29,900, $49,900 depending on the package purchased) was not enough, they needed to launder the money sitting in their clients’ accounts as well. And is there a better time than 1:00 AM to 7:00 AM on 27/12/2013? Most clients are on holiday and asleep (my account was laundered overnight from $105K to $14K) and legal professionals and courts are not open for business. The police are open for business BUT they don’t seem to be interested in taking any action so far. How? Again, it’s quite simple. They have populated the trading history with fake overseas bets (mainly the US… I mean there are no races in Australia taking place between 1:00 AM and 7:00 AM on 27/12/2013… so they had to resort to the US market) and this time you had more losses than winning to an extent that the whole account is wiped out! People that have invested with KL Advanced Strategies and CMV Trading have been scammed i.e. they have lost their initial investment in the package ($9,900, $29,900, $49,900 depending on the package purchased) along with any monies that have deposited in their trading account. – the company records be kept (i.e. prohibit the destruction of company records). – the bank accounts of Smart Street Management No. 3 PTY LTD, universaltab.com and sportingex.com with Westpac be frozen pending civil action. – Prevent Mr. Joseph Krajewski from leaving the country. – Freeze Mr. Joseph Krajewski’s bank accounts. Just wanted to add that we too invested a lot of money in KL we originally bought the smaller package then when it was making money we took out another loan and bought the bigger package ! we now look at it today and everything is gone. “John ” from Kl was on the phone to my husband on a regular basis promising how well the system worked. We are a young family with a mortgage running our own business we researched felt that the company wouldn’t have been able to run for so long without being investigated! now we are at a loss so much debt no where to turn ???!! if anyone can give advise as to what can be done please let me know. all of a sudden, there are reports of money being lost, very suddenly it seems. KL Advanced/ Smart Street Marketing P/L are in liquidation as of 13th of December. Surely any trading after then would be criminal and highly suspect, especially if funds are disappearing. Get in contact with the Liquidators through ASIC and get on to it asap. If there are no assetts to the company you will want to get a hold of the company records before they are destroyed. We too have lost over $15,000 with this scam. It would have been more but luckily I took money out last month when they were showing profits. The two contacts I had were Emily; a guy with the name Matt Dillion originally. When I saw how much my account was loosing over the past few days, I sent them an email straight away. Most of the funds lost were to overseas races???? It appears we have been ripped off. this company was infact a “legit” company as far as we could tell. we did a lo of research before investing our money.. how ever after losing almost $20,000 from our trading account in little under 2 weeks and numerous phone calls. we have just discovered they have gone into voluntary administration.. along with all our money!! our last email with contact from one of the admin was only 3 days after the asic put up the notice of liquidation.. yet they took more of our money without informing us. we are absolutely devastated. and have no idea of what we can do next! ? Danielle, could you please re-comment or email admin here with your email address as the one you submitted will not work. the account was in my partners name, he has just recieved an email from universal tab saying all accounts have been frozen from trading etc.. a little too late when we were already in the minus over night! we live in adelaide & arent getting any help from people we contact. we contacted the creditors involved and have left our contact info but are yet to recieve any communication. I already invested with them… What can I do from here if I’ve lost it all???? Can you do a check on PBX 300 would be much appreciated.